The purpose of the body mass index group calculator is that is measures your percentage of the body fat. To do this, simply use your weight and divide it by the height. Sometimes, certain programs are required for this download. 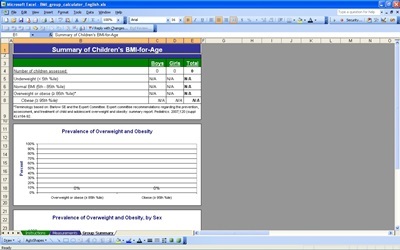 However, for the Excel body mass index group calculation, you would not need any special program. All you need is to download the template. This template for the BMI is very helpful and extremely user friendly. It will show the body mass index group calculator, target range, your weight loss, and the date on the graph. This template is free.